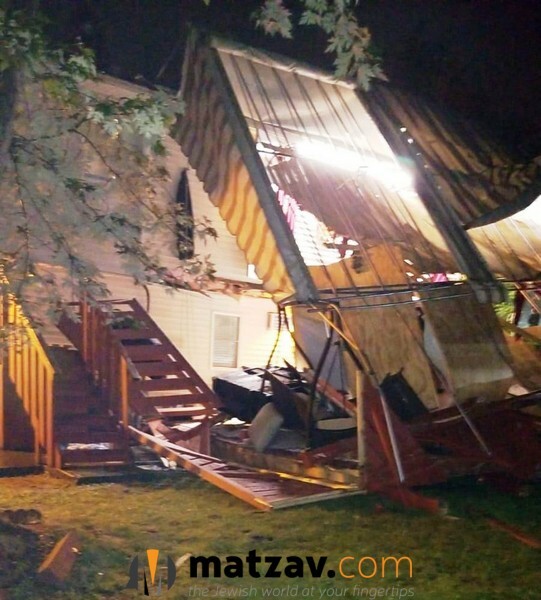 Some twelve people were injured after a porch bearing a sukkah in Monsey, NY, collapsed on Wednesday. 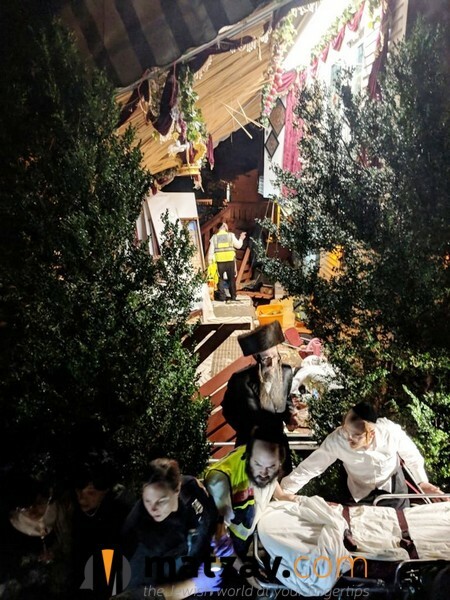 About 100 people were in the sukkah for a Simchas Bais Hashoeivah when the porch fell to the ground. Hatzalah responded in short order, treating over a dozen people. 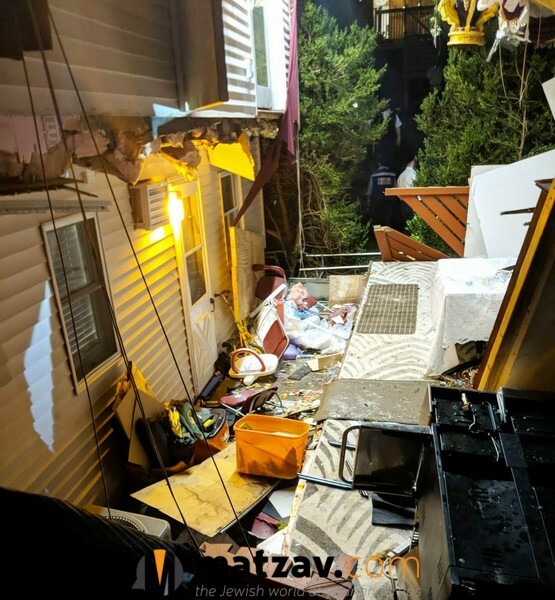 “It’s an absolute neis that there weren’t more serious injuries and that more people weren’t hurt,” a Hatzalah volunteer told Matzav.com. Scary. Hope nobody was injured. What kind of a porch is this? Can’t see much on these photos. 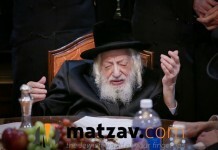 It was a Le’chaim for the engagement of the daughter of the Sukka owner. About 7 ppl were taken into the hospital with minor injuries, with many more treated on scene. Shoddy construction. Ledger beam was not properly secured to the structure of the house. How judgmental, accusing and wrong. The Sukkah was built on a newish porch, that was built “according to code”, with strong supports, Ledger properly secured with nuts and bolts to strong structure that was not rotting. That’s according to a licensed home inspector on scene, (as you’ll probably not take my word for it). Anyone who saw the porch, or has just a litttle seichel knows that the number 100 is a gross exaggeration. Mistakes happen, tragedies happen, it was a unfortunate incident. But where has הוי דן את כל האדם לכף זכות gone? And especially when it comes to our own. Don’t you want to be judged favorably?? OK, but can you advise why this happened. What can be done in the future to prevent such things. Maybe we Yidden need a special ‘code’ – for extra strong usage! Building codes need to be followed. amazing how you all rush to blame the victims! Be Dan Lkaf zchus! It was an accident. How unfortunate to have our own come out in such a judgmental and accusing manner. The porch was built according to code, and properly enforced with bolts nuts and anchors, and not simply nailed to yhe wall. I saw it myself, and this was also confirmed by a local home inspector that was also on scene. Seems to me like all the extreme politics were seeing in the country is spilling over to our community, people please!! 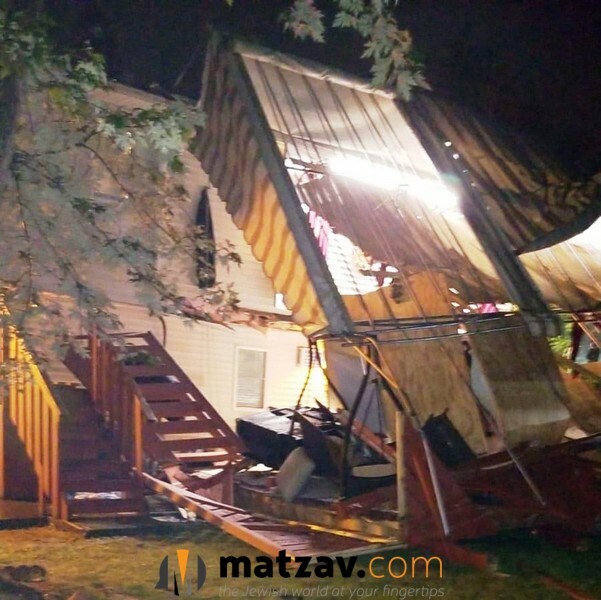 What’s the message for Monsey residents? It didn’t happen anywhere else, only Monsey. Such things have happened in other places. In Brooklyn, most of the decks are steel. 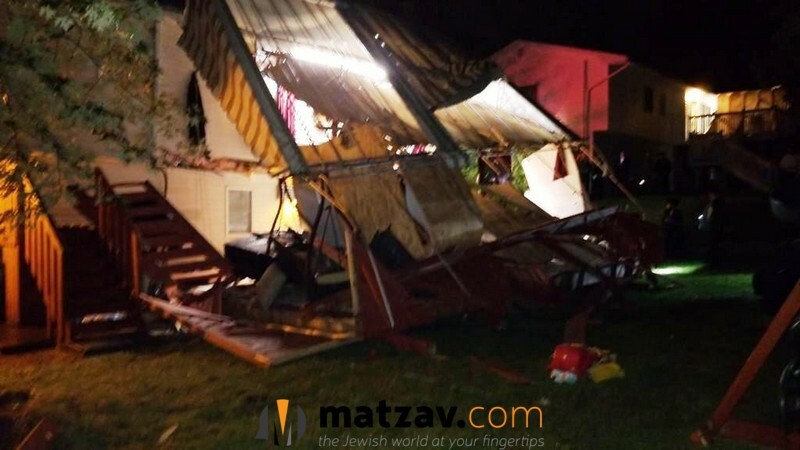 Mivakesh- message is that Monsey folks are baalei chessed and took a hit for you, thank them. More than Brooklyn?! 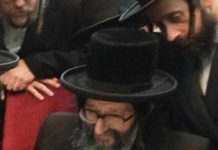 Who are you to know who does more chesed? What an asinine comment. Why did it rain non-stop in Lakewood both of the first 2 nights of Succos but NOT in Brooklyn?! Raining on Succos is a bad thing. There is no way to spin that. BTW, there was plenty of time to make a leisheiv in Lakewood on the first night – just some people are scared of a few drops. Ask YLOR for more info!